This work explores the nature of trauma, the unspoken. Hand-burned incense drawing, watercolour ink on calligraphy paper, charred paper, charcoal, embroidery hoops and handmade sunlight lenses. This is a six metre ink drawing on calligraphy paper, suspended inside fifty embroidery hoops. The works represent the night sky as well as the human mind or the human body. Punctuated with tiny star-like holes, it explores a sense of daily crisis or accumulating crisis, as well as a sense that there are gods or celestial bodies looking over us, even when life gets dark. 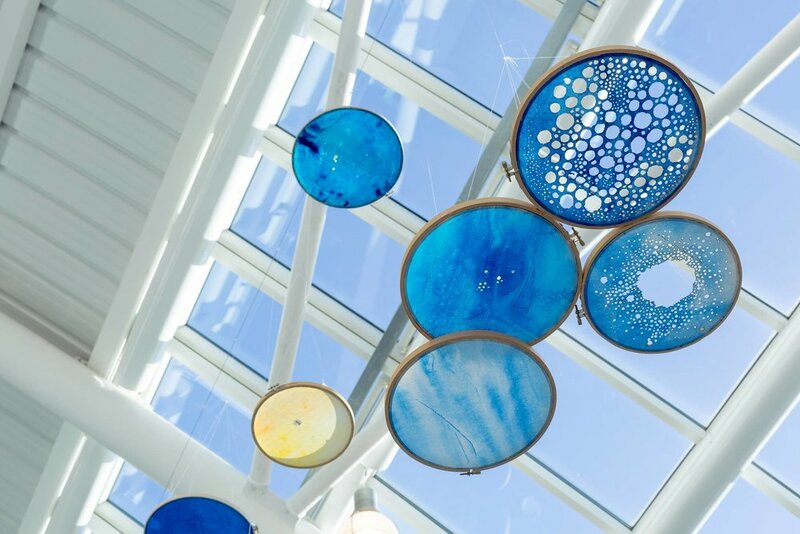 Each circular particle of the ceiling suspended artwork is scarred with burns, holes, and perforations, made with lit incense sticks. In some cultures, burning is the way to send offerings to the Gods or to the dead. In other cultures burning is synonymous with destruction, trauma, and loss. No surface is perfect or whole, but through each the sun may shine or the dark of night may ooze though. 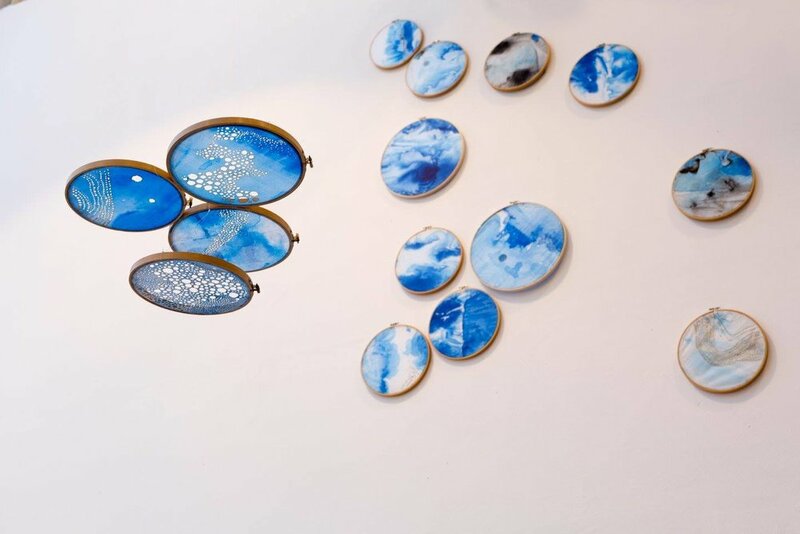 50 Skies : 50 Scars was commissioned for and first exhibited in KRISIS, an exhibition curated by curator collective Something Human in Nottingham, UK, 2016.